Our entreaties to The Baseball Gods apparently worked. The Red Sox beat the Metropolitans and The Evil Ones lost again to the lowly Blue Jays—so the Magic Number to clinch the American League East is down to just two. Thus, as we surmised, your 2018 Carmine Hose can wrap up the division on Tuesday afternoon in the Bronx. Today, Chris Sale started things off with three scoreless innings—allowing just one hit. In the meantime, the so-called 'un-hittable' Jacob deGrom was in fact hit by Boston in a three-run third-inning. A one-out single by Rafael Devers was followed by a perfectly-executed hit-and-run single by Christian Vazquez. Mookie Betts knocked in Devers with a sacrifice fly and then Brock "Mr. Mid-September" Holt unloaded with a two-run home run to put the Sox up 3-0 on the purported NL Cy Young winner. Of course, Dave Dombrowski's Red Sox 'bullpen' gagged-away the lead—giving New York two runs in the sixth (thank you, Drew Pomeranz) and one in the seventh (you, too, Heath Hembree). That simply set the stage for yet another late-inning Red Sox victory. In the bottom of the eighth, Tzu-Wei Lin (in for an injured Mookie Betts) doubled to lead things off. 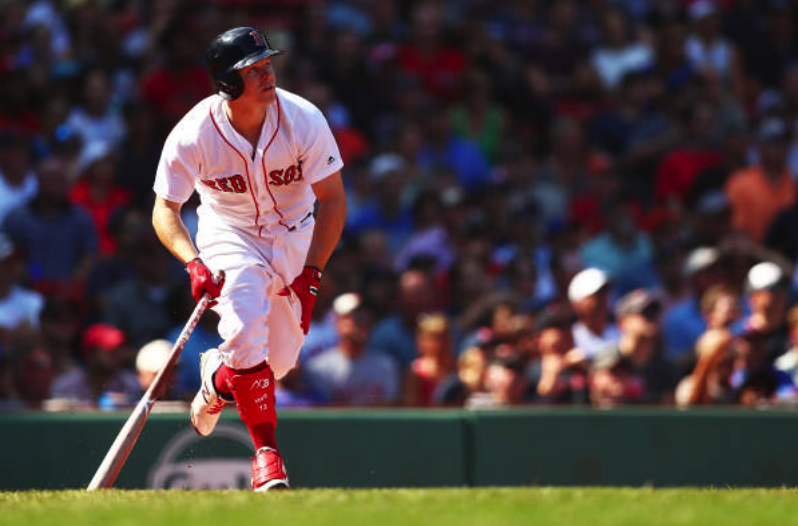 BrockStar flied deep enough to get Lin to third, and Andrew Benintendi knocked him in with a sacrifice fly, resulting in the eventual 4-3 win. Amazingly, Steven Wright came on in the ninth for the save—which he got (the first of his career). Boston has Monday off, then travels to Baghdad-On-The-Hudson for (hopefully) at least two meaningless games.